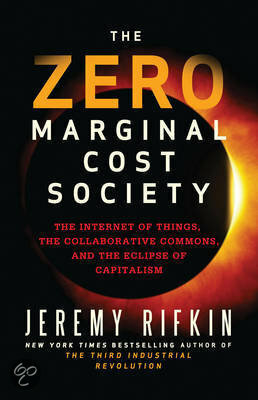 Rifkin uncovers a paradox at the heart of capitalism that has propelled it to greatness but is now taking it to its death—the inherent entrepreneurial dynamism of competitive markets that drives productivity up and marginal costs down, enabling businesses to reduce the price of their goods and services in order to win over consumers and market share. While economists have always welcomed a reduction in marginal cost, they never anticipated the possibility of a technological revolution that might bring marginal costs to near zero, making goods and services priceless, nearly free, and abundant, and no longer subject to market forces. Now, a formidable new technology infrastructure—the Internet of things —is emerging with the potential of pushing large segments of economic life to near zero marginal cost in the years ahead. Rifkin describes how the Communication Internet is converging with a nascent Energy Internet and Logistics Internet to create a new technology platform that connects everything and everyone. Billions of sensors are being attached to natural resources, production lines, the electricity grid, logistics networks, recycling flows, and implanted in homes, offices, stores, vehicles, and even human beings, feeding Big Data into an IoT global neural network. Prosumers can connect to the network and use Big Data, analytics, and algorithms to accelerate efficiency, dramatically increase productivity, and lower the marginal cost of producing and sharing a wide range of products and services to near zero, just like they now do with information goods.